Until World War I, chicken raising tended to be on a small scale, and a small household flock wasn’t found only on the farm. It was not unusual for urbanites to have a few chickens in their backyards. The reasons for raising a backyard flock varied from supplying the household with a source of protein to raising chickens for show. Americans’ interest in exhibition chickens developed at about the same time as Europeans’. The first American chicken show was the Exhibition of Fancy Poultry in the United States of America in 1849. Even the great showman P.T. Barnum must have fancied the backyard flock, because he soon organized a national poultry show that was held in New York in 1854. When the demand for chicken eggs increased to feed soldiers fighting in World War I, the practice of raising large chicken flocks began. The end of the war caused a drop in demand, which created a surplus of chicken eggs. The resulting drop in prices made it difficult for those who had started large-scale egg production to continue operating. Despite the struggles of chicken raisers during this time, the emphasis turned from backyard-chicken keeping to commercial flocks during the Depression of the 1930s. The invention of the incubator also enabled the rise of large chicken operations, because it allowed for mass hatching of chicks. The first American incubator was built in 1844, and 90 years later, there were about 11,000 hatcheries using the technology. A report by the USDA indicated that in 2001, there were 323 chicken hatcheries in the country with an average egg capacity of 2.7 million eggs each per year. Another USDA summary reported that more than 9 million broiler-type (meat) chickens were hatched in U.S. hatcheries in 2003. As fewer Americans farmed and more moved into urban areas, there was a movement away from small chicken flocks toward large, commercial chicken operations. These large operations began to raise hundreds of chickens in confinement facilities. Whether for egg production or for meat, chicken breeds became more and more specialized for this scale of production. As the need for specialized chickens grew, the purebred chicken was replaced by the hybrid. Many of today’s hybrid chickens were developed after World War II as agriculture became modernized. 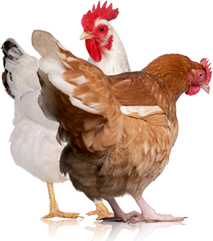 Both commercial layer chickens (egg producers) and commercial broiler chickens have been developed to be efficient converters of feed. The quicker they change feed into weight and the more eggs they lay, the more marketable they are. The development of hybrid chickens for large commercial operations does not mean the end of the urban chicken flock. You can play an important role in maintaining the health of the chicken industry by preserving a variety of chicken breeds that have fallen out of favor in the commercial market. 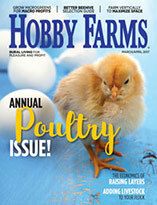 A diverse gene pool ensures long-term sustainability of hardy, traditional chicken breeds. Modern hybrid chickens were developed and were improved over the years using a genetically similar base of chickens. They were selected for production capabilities, but not necessarily for hardiness or disease resistance. There may come a time when modern chicken hybrids will become too vulnerable to the diseases that traditional breeds have been fighting off for years. The modern chicken industry may need to fall back on the genetic diversity that has evolved in traditional breeds for centuries. 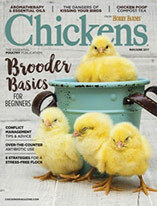 Read the chicken breed profiles for a variety of breeds that can be appropriate for your backyard-chicken setup. Chickens are enjoyed by people around the globe for a variety of uses and activities. With such a plethora of breeds, you are sure to find one that fits your backyard. About the Author: Pat McKnight is a freelance writer and a reporter for a weekly newspaper in west-central Wisconsin. Pat McKnight is a freelance writer and a reporter for a weekly newspaper in west central Wisconsin.